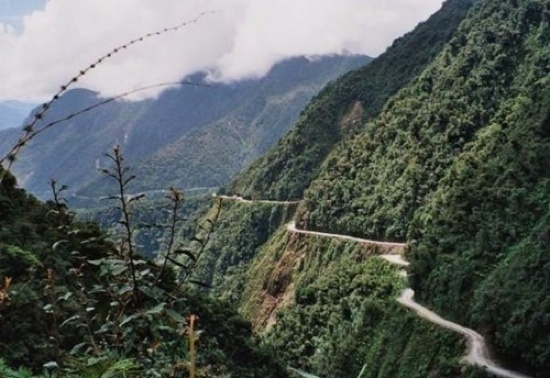 The North Yungas Road (Road of Death or Death Road) is a 61 kilometres (38 mi) or 69 kilometres (43 mi) road leading from La Paz to Coroico, 56 kilometres (35 mi) northeast of La Paz in the Yungas region of Bolivia. It is legendary for its extreme danger with estimates stating that 200 to 300 travelers are killed yearly along it. Off the shore of Brazil, almost due south of the heart of São Paulo, is a Ilha de Queimada Grande (Snake Island). Researchers estimate that on the island live between one and five snakes per square meter. 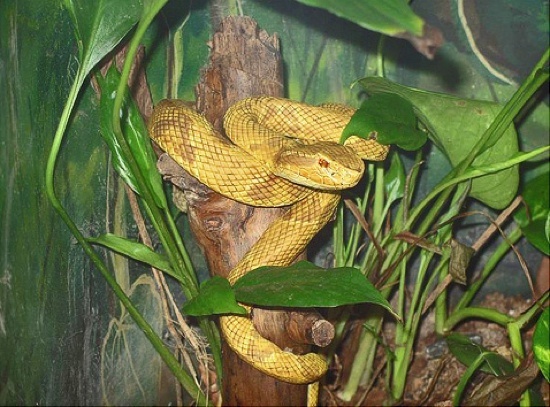 The snakes are a unique species of pit viper, the golden lancehead. Responsible for 90% of Brazilian snakebite-related fatalities. The golden lanceheads that occupy Snake Island grow to well over half a meter long, and they possess a powerful fast-acting poison that melts the flesh around their bites. This place is so dangerous that a permit is required to visit.